Blue Ring. Classic red white and blue colors. The medial logo is red 3M backed with a supple red synthetic leather giving the lateral view a clean blue 3M look. 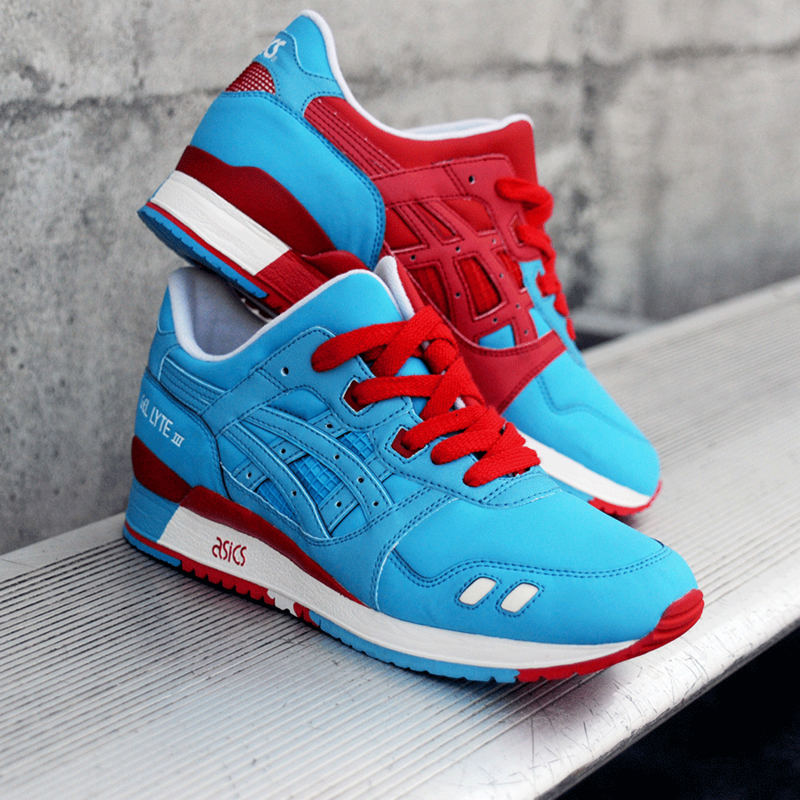 The unique split tongue of the Gel Lyte III gives the half red, half blue toe down a great look. USA or England, the colors fit.